Our silver best friend necklace is the perfect gift for all occasions! 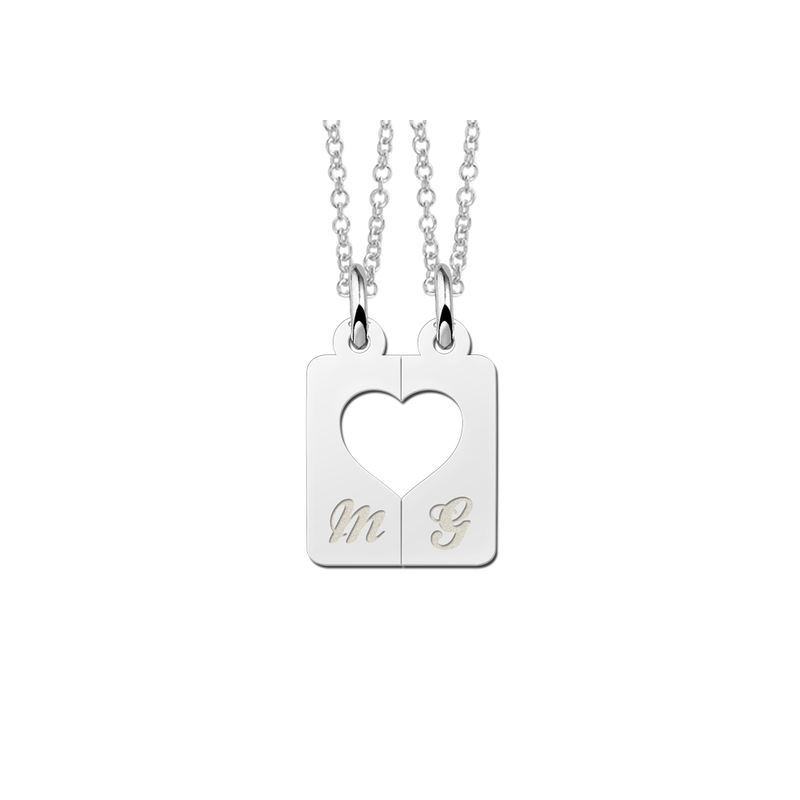 Show off the bond between two friends with a silver best friend necklace. A silver best friend necklace is the perfect gift for telling a friend that you really care about them and that they mean a great deal to you. Best friends have a special connection that just makes them “click,” whether it’s because of a similar sense of humour, an interest in the same hobbies or simply knowing each other inside out. 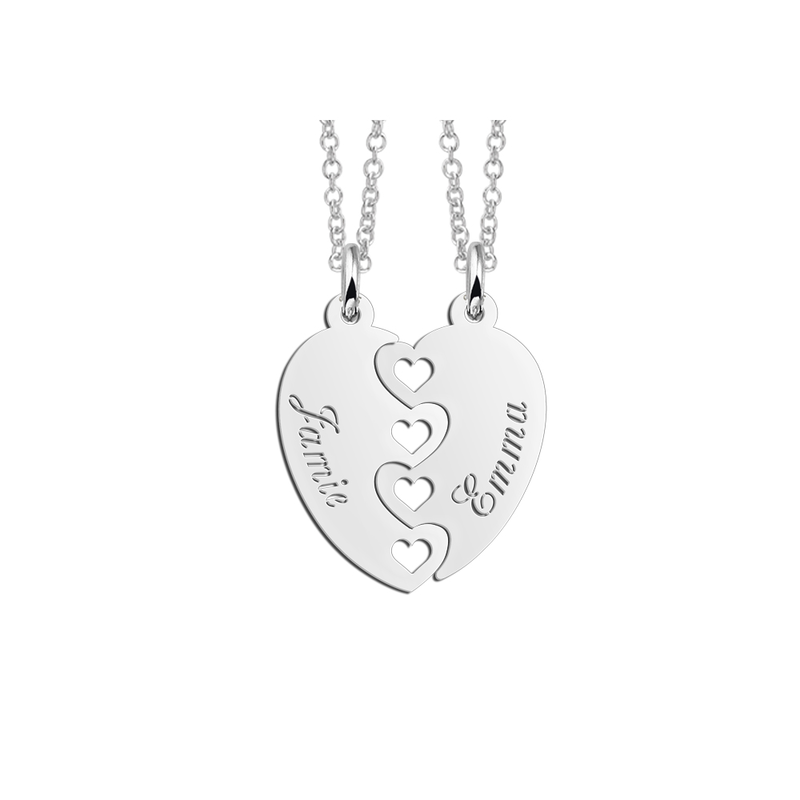 It's not surprising, then, that you would want to symbolise that bond by purchasing a stunning silver best friend necklace, which will represent the happiness you share and the connection you have with each other. Best friends go through a lot together; when relationships break up, a best friend is a shoulder to cry on; when there are problems in life, a best friend is someone to talk to; when others around lose contact, a best friend remains there as a constant source of comfort. So throughout life’s good and bad times, best friends will grow a bond that is unbreakable. 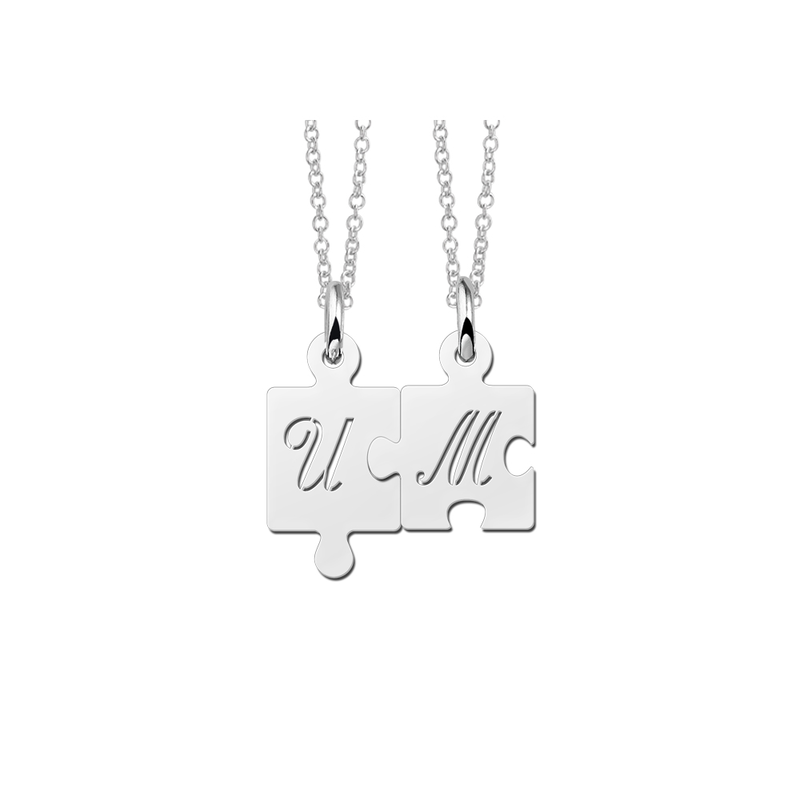 Therefore, something that special should be symbolised with an equally special silver best friend necklace. Silver best friend necklaces for 2 will represent this connection in a stylish, sleek and subtle way that will constantly remind a friend that there is always someone in life that is there for them. As we get older, it becomes harder and harder to maintain the friendships we had in the past, such as at school. Therefore, as a way of reminding someone that you are thinking of them or that you want to remain the best of friends, a silver best friend necklace is ideal. Silver bff necklaces are also perfect for those times when someone needs cheering up and reminding that they have a best friend who is there for them. A silver best friend necklace will tell them that not only are you thinking of them, but that you care about them a great deal. 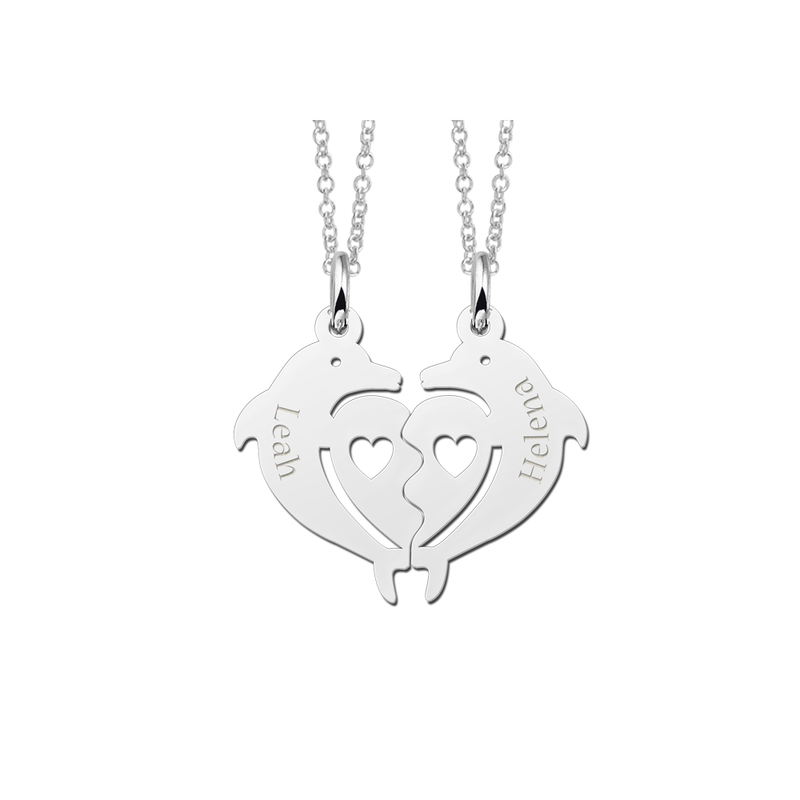 On birthdays, the perfect gift is a beautiful necklace, and it seems fitting that you would tell your best friend that she means a lot to you by giving her a silver best friend hart necklace on her special day. Hearts represent love and life, and close friendships epitomise both; best friends are those that love each other and life is not the same without a best friend to laugh or cry with. A silver best friend hart necklace is, therefore, perfect and can be worn for all occasions, as they will look good with both dresses and tops. On special occasions, a silver best friend necklace can be the perfect gift. Whether it’s birthdays, weddings or Christmases, a silver best friend necklace or gold best friend necklace will make your best friends day that more special. You can never go wrong with jewellery. Accessories can complete a look and silver best friend hart necklaces will go with almost anything. Also, the silver best friend necklaces we offer are subtle and elegant, which is ideal for those that want to symbolise and solidify their relationship in a low-key, classy way. 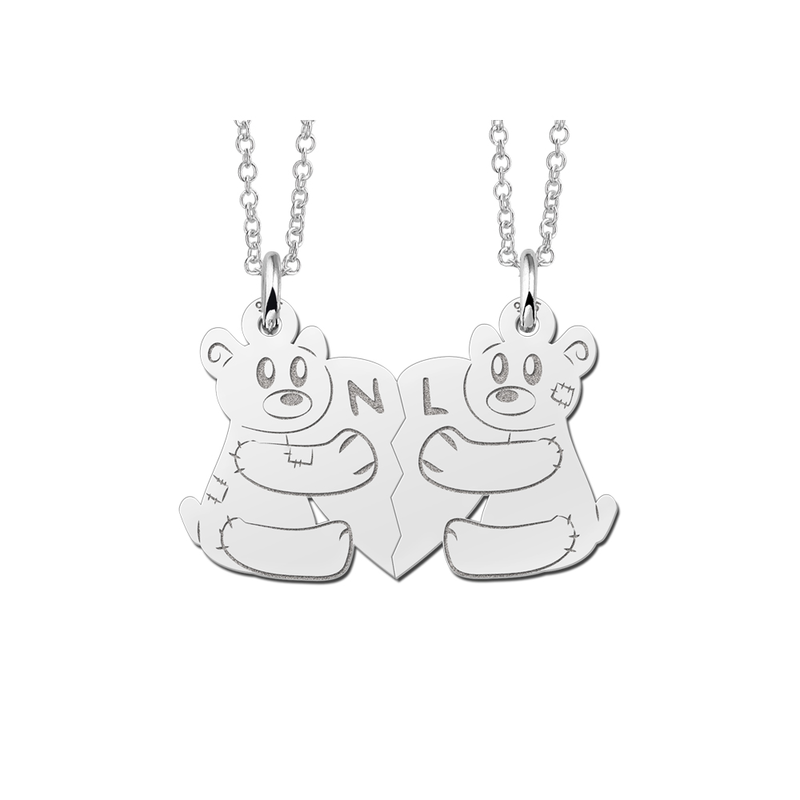 It makes the symbolic gesture of a silver best friend necklace all the more special if it is done in a personal way, which mirrors the unique and close bond of two friends.